Looks very nice, always been a big fan of Peters. your rework is not only an optical pleasure, but also gives orientation along the track and makes it easy to remember racing line and braking points. This made the track really enjoyable to me! 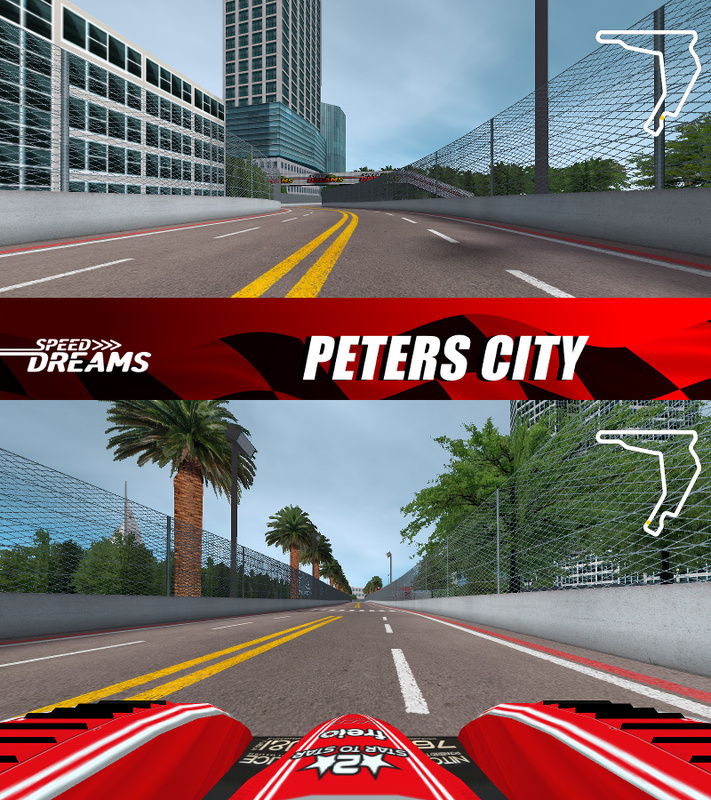 aeggy wrote: for the 2.2 release i did a rework of Road track Peters, now "Peters City"
this track is included in the official installation! no need to download it seperately. Just install the content packages ("hq-cars-and-tracks" and "more-hq-cars-and-tracks"; not sure which one, but you might want to have them both anyway). simon-2 wrote: this track is included in the official installation! no need to download it seperately. Just install the content packages ("hq-cars-and-tracks" and "more-hq-cars-and-tracks"; not sure which one, but you might want to have them both anyway). Great! Do U know if I can play with it on Torcs 1.37?